Any event in a community can be elevated in its exposure with a custom sign package. Our team at Precision Sign and Graphics was thrilled to have the opportunity to work on one recently for the Rodeo that we are a sponsoring. 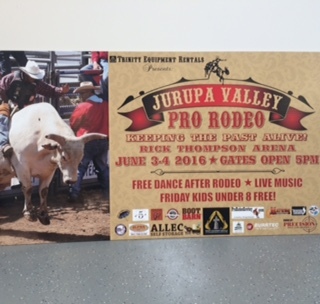 When Jurupa Valley Pro Rodeo came to us with a marketing sign need, we got right to the job at hand! The completed signs were the perfect match for the advertising goals of the client, and gave insight into the highly anticipated event. You can see the dedication and quality that went into the design, production, and installation of this temporary sign package! The city of Jurupa Valley was incredibly invested in this project, as it was the first time in 8 years that the event would take place. The event coordinators had yet to procure marketing tools for promoting the rodeo. We were able to design, fabricate, and install over 50 signs to help with advertising, ticket sales, ADA, health and safety, and directional needs. We were able to use low cost materials, as these signs were temporary and did not need longevity. Four foot by eight foot signs were installed at the major entrances to the city, as well as many eighteen inch by twenty-four inch signs. We utilized the 3MIJ35 and the HP 360 Latex Printer for the construction of these products, and were pleased with the final results. In addition to the temporary yard signs, we also produced vinyl banners and flags that were placed around the arena. 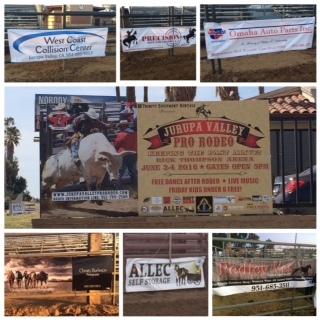 Our signs displayed the different sponsors of the rodeo, including our own team!The final look was a successful blend of marketing and image, and were just what our client needed. The rodeo went off without a hitch, and the community cannot wait for this PRCA sanctioned event to come back next year! When you think of signs, you usually think of marketing. The sign and graphic industry is more than just the advertising options you expect, though. There are options that are available for safety, navigation, informative displays, broadcasting regulations and rules, as well as decorative needs. 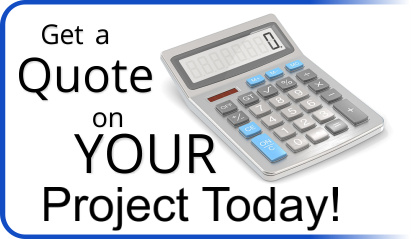 Our team can take your budget, goals, location, and ideas, and conceptualize a plan to achieve signage success! Just ask to speak with our experts today! Are you interested in learning more about temporary signs? Would you like to learn the specific advantages that these signs can bring your business, office, or home? Contact us today, and let us get you started! RIVERSIDE CA- What are the best uses for vinyl and fabric banners in Riverside CA? RIVERSIDE, CA- How Can a Sign Shop Help You Get Customers for Your Business?